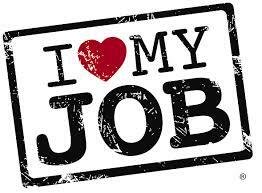 But on most days I love my work! As upset as I was the other day and on some other days, these are just phases. On most days my job gives me much to celebrate (Touch Wood). True, the outputs are not immediately visible but on some days they are; like the day you managed a key performer to withdraw his resignation. All employees will have their bad days. It is important to recognize the fact and do most to make sure that their other days gives them enough strength to tide over these. Meeting with the manager/HR on these bad days will result in a lot of misleading information at times (sometimes valuable too). One has to carefully sort out what is real and what is a momentary disturbance. But what is more important is what percentage in a month are their bad days? Are you doing something to recognize it? More importantly, are you doing anything to make sure that the good days are significantly larger than the bad ones? And if you are looking into all of this, I’ll leave you with one last question – What are you doing to make the bad days a little better and are you coaching your managers to do the same?